Detail from a self-portrait by Matthias Buchinger, 1724; his hair consists of seven Psalms and the Lord’s Prayer. Click here for larger image. 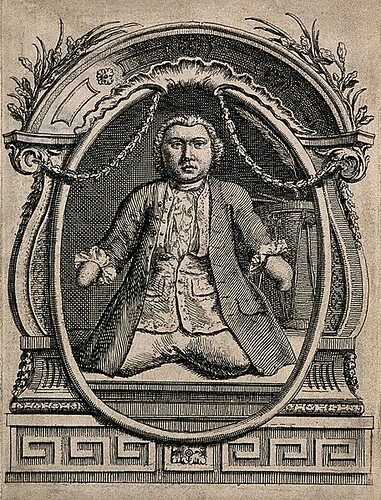 Matthias Buchinger… was born without hands or feet in Nuremberg in 1674 and never grew beyond the height of twenty-nine inches. [Buchinger had phocomelia, an extremely rare congenital disorder that was in the news in the last century as it can also be caused by a pregnant mother’s use of Thalidamide, a drug then prescribed against morning sickness.] 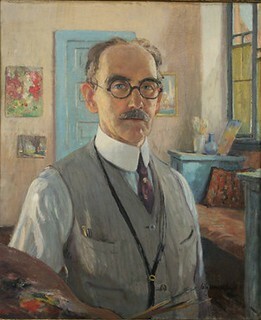 An itinerant magician, musician, writing master, and artist active in Britain and the Continent, Buchinger combined a Grub Street readiness to produce fancy illustrated documents on demand (family trees, coats of arms, wedding announcements, and the like) with a Germanic piety so that, by some wizardry, curls of hair turn into threads of minuscule sentences from the Bible, and sturdy capital letters sprout leaves and tendrils. 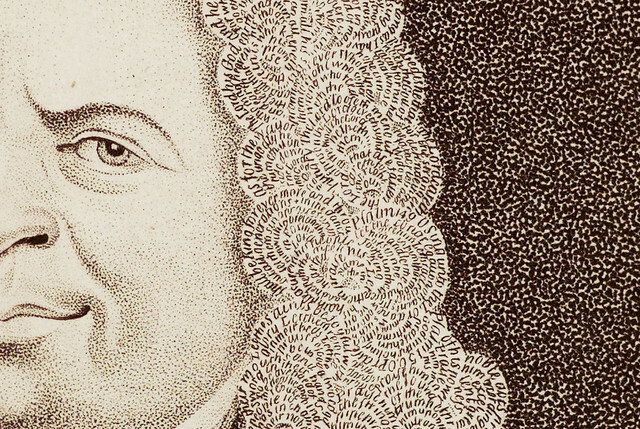 “Matthias Buchinger, a phocomelic.” Etching. Read more at “Mystery in Miniature,” and see Jay’s collection on display at the Metropolitan Museum of Art through April 11. As we marvel at the minuscule, we might send dreamy birthday greetings to Buchinger’s “yang,” Colin Campbell Cooper, Jr.; he was born on this date in 1856. 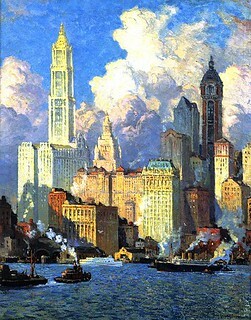 A seminal American Impressionist, Cooper is perhaps best known for his paintings of skyscrapers in New York City, Philadelphia, and Chicago.